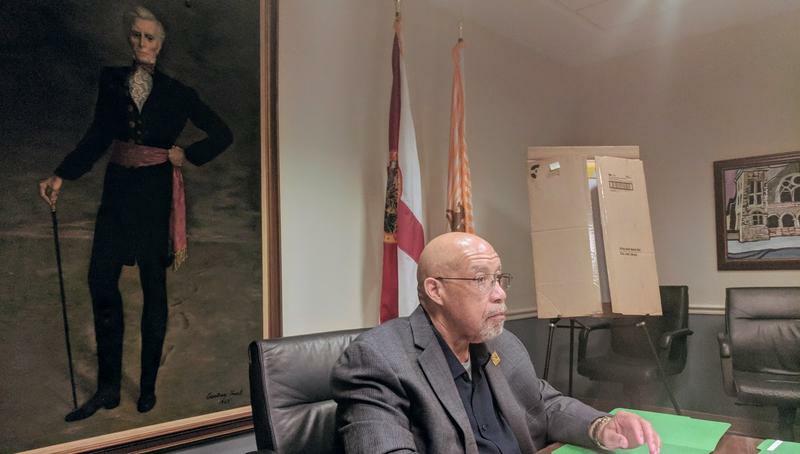 A committee that quickly morphed into an almost exclusively local effort to explore Jacksonville’s greater African-American history is now ending with giving every Florida city the opportunity to be included on the nascent U.S. Civil Rights Trail. 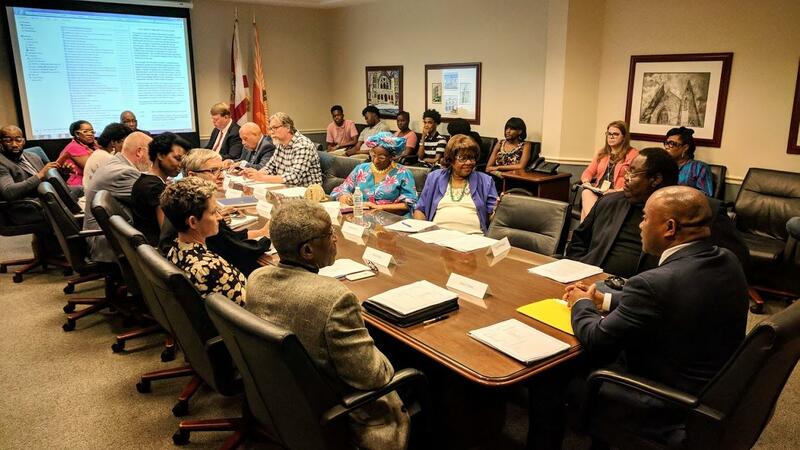 At the final meeting of Jacksonville’s Task Force on Civil Rights History, Visit Florida CEO Ken Lawson pledged the state to pay $15,000 a year in subscription fees to the southern tourism agency consortium Travel South. The consortium was responsible for planning the trail and is responsible for authenticating its sites. “It’s very important to recognize our heritage and the civil rights movement and the various museums and locations. You know, there was a question whether or not Florida as a state could participate in the Travel South U.S. Civil Rights Heritage Trail. I met with leaders from Travel South, explained our interest and made a commitment that Visit Florida would like to participate and assist our various locations to apply,” Lawson said. Each city would have to foot the bill for the $3,500 application fee associated with specific sites. It’s still unclear from Travel South whether cities would have to pay that fee for each individual site, or just as a city. Travel South “is still building out its criteria,” Lawson added. The task force is recommending Visit Jacksonville figure out those logistics and pay for applications using the county Tourism Development Council’s funds. The goal of national trail inclusion precipitated the creation of the 27-member task force. Brosche said after reading an editorial in The Florida Times-Union lamenting Jacksonville’s exclusion, she was moved to figure out why. However, it didn’t take long for the scope of the independent committee to greatly expand, while its charge narrowed to the hyper local. 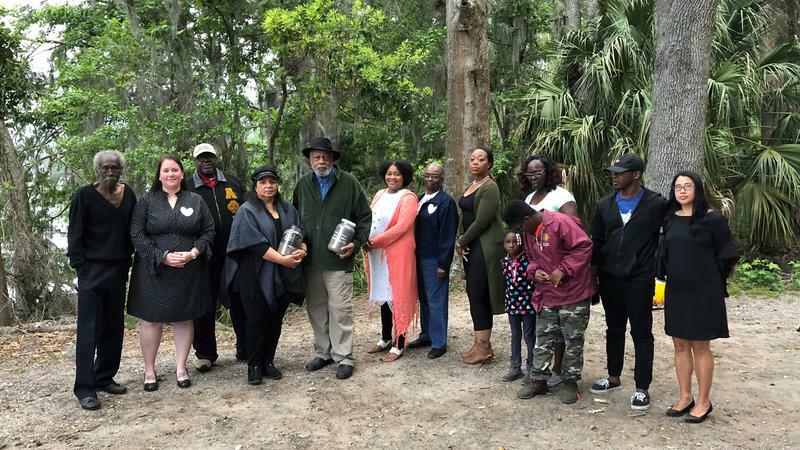 Visit Jacksonville’s Monica Smith, one of the task force members, relayed the nuts and bolts of the Travel South process and the body quickly decided to refocus on creating a local trail, while also setting goals like creating a black history timeline. Task force co-chair and Duval County School Board member Warren Jones called the timeline one the body’s most important accomplishments. “Having that timeline put on the internet, where everybody in the world can see it, is outstanding and I think the task force is to be commended for the work that they have done,” Jones said. The timeline stretches back to the early 1800s, far exceeding the reach of what Travel South recognizes as the Civil Rights Era. 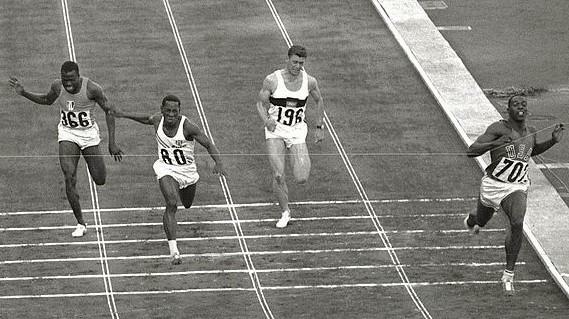 Task force member Rodney Hurst said he thought it important to include the movement’s foundational moments and heroes. Hurst was an organizer of Jacksonville lunch counter sit-ins in the 1960s. At the Wednesday meeting, Jacksonville Main Library officials confirmed they were working on getting the finalized timeline displayed physically in the library and on its website. At least one task force member, Edward Waters College Professor Rahman Johnson, said he’d use the material to educate his students. The full task force is recommending the timeline be included in city educational materials at public schools and the library. Furthermore, the task force is recommending that the city work with the Downtown Investment Authority and parks department to create a civil rights history “campus” or “district” downtown that includes Hemming Park and other sites. The group is also asking for the city to raise funds in order to buy and restore buildings in the LaVilla neighborhood and designate part of it as the LaVilla Civil Rights Historic District. But with Jacksonville Transportation Authority and private housing developments already slated for the neighborhood that was once referred to as “the Harlem of the South,” that goal could be more difficult to realize. DIA CEO Aundra Wallace tussled with Hurst, saying the neighborhood’s history is a draw for developers, but doesn’t by itself “translate into dollars and cents.” Wallace said he’s trying to win private investment from developers in hopes they will see the value of historic preservation afterwards. Hurst doubled down on his belief that development should follow preservation, while Wallace maintained it was more expensive to restore sites than to build over them. Almost every idea tossed around since the task force began its work in February was refined and in one way or another, made it into the committee’s final report. But one subject that took up a lot of space in public comment and discussion didn’t — Confederate memorials, especially the one in Hemming Park. Recommending what to do with the city’s monuments was not part of the task force’s charge and throughout the task force’s work, its co-chairs consistently stated inclusion of the subject would only serve to tarnish the body’s work and distract from its purpose. But acting as “individuals,” task force members did agree to sign on to a separate letter calling on City Council to engage in a series of public discussions about what to do with them — tear them down, keep them up, remove them and place them in private spaces or re-contextualize them. Rahman Johnson said although the issue was not one expressly part of the task force’s charge, they couldn’t ignore what the public was telling them. Johnson said the letter is merely an attempt to start an official government discussion after more than a year of public discourse. “Because we were appointed by City Council, our responsibility is to take back the information that we had learned. So, it was less of fighting the power, grabbing a rope and pulling down the statue and more of people in this community want to see change,” he said. At this point, removing monuments seems like a longshot. Brosche, who will conclude her leadership of the council at the end of this month, initially took a strong stand for “respectfully removing” and “relocating” the city’s Confederate memorials to places like museums. 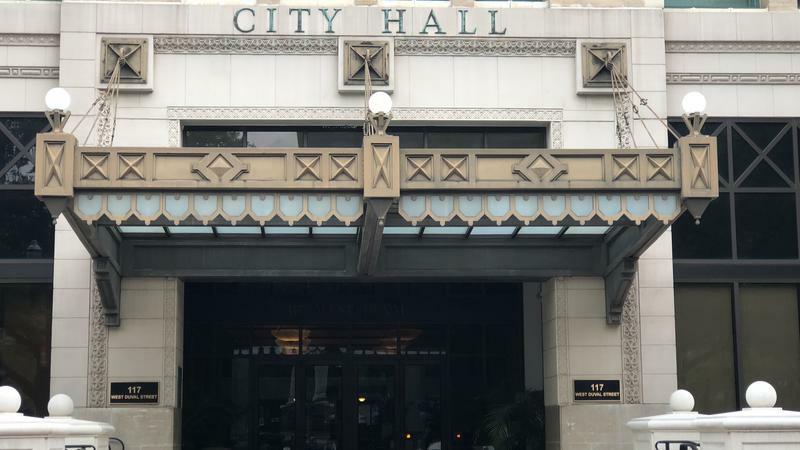 Brosche ordered an inventory of the city's Confederate monuments and has since come to the conclusion that just isn’t feasible in Jacksonville. “There’s a desire to make our parks more welcoming to everyone in the city. At the same time, movement or relocation doesn’t seem to be an option that the entire community supports,” she told WJCT Tuesday. 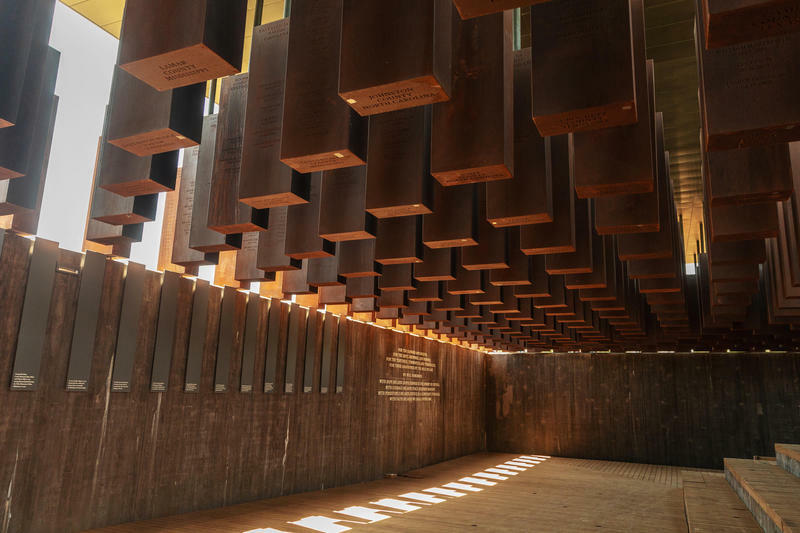 But the outgoing council president is working on a new effort for the city to claim its own six-by-eight pillar memorializing Duval County’s documented lynchings from the National Memorial for Peace and Justice. She’s sponsoring legislation calling for the solemn column to be prominently displayed in Hemming Park where it can easily be viewed from the steps of city hall. Brosche will present the task force’s final report to her council colleagues next week, as Aaron Bowman is slated to take her place as president July 1. Bowman has expressed apprehension about allowing the task force to continue under his tenure, citing a drain on city resources, but said he does support the concept of creating a new civil rights museum. Still, many task force members that have spoken to WJCT have expressed the desire to keep working, as certain recommended projects would require multi-year funding commitments and continuing planning. Local historian Scott A. Grant has made a name for himself, educating the public on little known facts that have shaped this region. Jacksonville’s new Task Force on Civil Rights History is diving deep into the city’s role in the modern Civil Rights Movement.